Are you a victim of ski traffic? If you're a skier or rider living in a city who works the Monday-Friday grind, chances are the answer is a big, sad YES. While there's no magic bullet solution (besides owning your own private jet, that is), there is a better way—at least I'm determined to find one. I'll never forget the time that I woke up at the ungodly hour of 5am to beat the traffic to Winter Park. I really thought I was outsmarting all the other powder hounds that day! Who else would be crazy enough to rise in the dark on a bitterly cold and snowy Saturday morning? Apparently, everyone else in Denver. As my friend Kat and I made our way to the highway with only a few other cars on the roads, we had high hopes for a traffic-free drive. Sure, we were exhausted, but it would all be worth it. As we advanced up the on-ramp to I-70W, we began to slow down behind a line of cars—maybe it was just merging traffic? Nope, as soon as I had shifted into the middle lane, we screeched to a halt and beheld the horror before us: an endless sea of red brake lights stretching for as far as our sleep-deprived eyes could see! 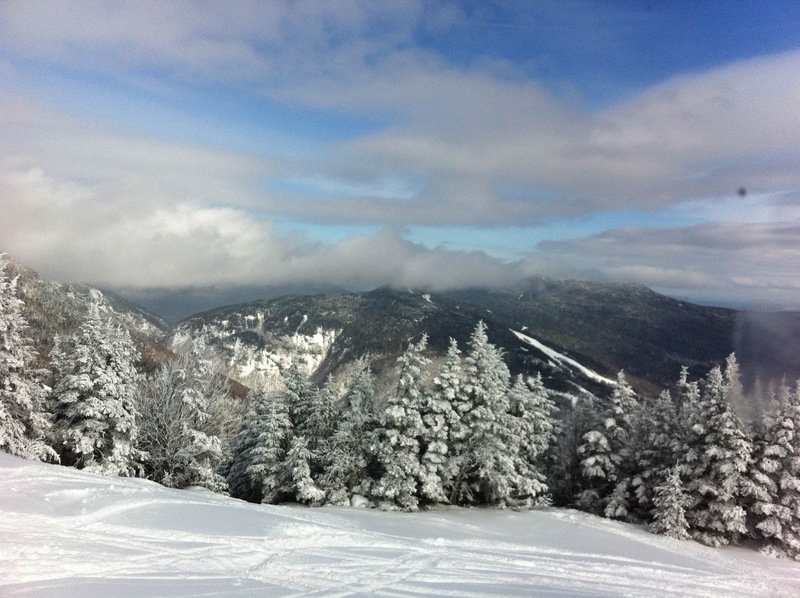 this view is worth the wakeup call! This is the reality for many city dwelling skiers every winter. On Friday afternoons and Saturday and Sunday mornings, we flood all paths that lead to the mountains. Here are a few ideas to outsmart the system—both on the way there and the way home—if you're a weekend warrior doing the metropolis-to-resort commute. Talk to your boss to see if, on occasion, you can swap out working on a Saturday or Sunday for a Monday or Friday off. This is an especially handy deal to have in your pocket for powder days and popular skiing weekends, like President's Day. This one's about timing! If you're planning a weekend ski trip, see if you can come in super early on Friday and leave around 1 or 2 in the afternoon to beat the rush. So that one time, when I woke up at 5am, it was clearly not early enough. But maybe 5am is early enough depending on the severity of your ski traffic situation. If not, get everything ready to go the day before, program your coffee machine to make an extra strong brew, turn in at 8pm, and wake up even earlier. If you've got a group of friends with the same riding plans as you, great! If not, check out skicarpool.org, post on Facebook, or even try creating a Meet Up group to find ski buddies to drive with. While this won't help you beat the traffic, it will help you not always be the one stressing behind the wheel and save money on gas. A good ski roof rack will help you pack even more friends into your car. Google shuttle and bus services in your area to see if there's an affordable public or private transit option to your destination resort. Like carpool mates, this won't help you beat the traffic, but it will mean you can spend the hour or so drive sleeping or relaxing instead of road raging. If you've got a good group of folks who all have a pass to the same resort, consider renting out a cheap apartment or condo for the season so that you can maximize your time in the mountains, rather than do the back-and-forth for just a day. Airbnb or VRBO is also great for stand-alone weekend trips. Okay, this one's a long shot. But if you're a serious skier/snowboarder and weekends only/crazy traffic has you down, it might be worth it for your quality of life to at least consider looking for jobs in mountain towns. 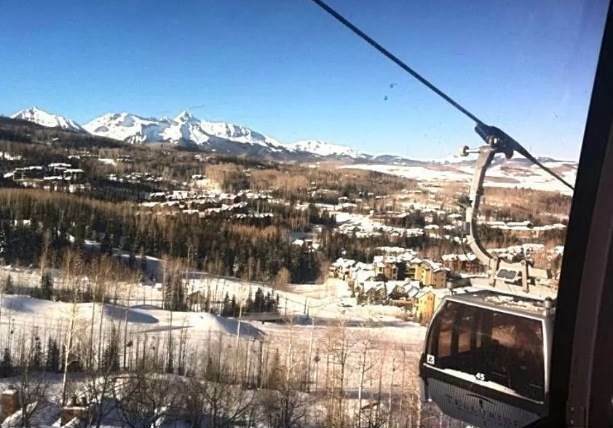 Here are a few ideas for where to live and work in Telluride, if that town tops your list. Good tunes can make the time fly by. Turn your commute into a dance party to warm up your muscles for the day of skiing! Or, download some podcasts or audiobooks that are so good, they'll actually have you looking forward to your drive. Don't let the hideous combination of road rage and hangry happen to you! Think ahead and bring some snacks for the ride there and the ride back. Trail mix might cut it for a mid-ski snack, but you can upgrade your eats for the car. Think your favorite chips, homemade cookies, or cheese and crackers. Be sure to bring water or other beverages, too. 3. Turn Your Car into a Sofa And by that, we mean invest in a lower back wedge or a seat cushion if you're driving and have back/hip pain so that you're at least comfortable when you're sitting in traffic going nowhere.